One of the popular and biggest landmarks in Thimphu, the Tashichhodzong stands tall two kilometers away from the main town. It is the main secretariat building which houses the offices of the King and the Throne Room. The central monastic body and some government ministries are also located in the dzong. It is the summer resident of the monk body, the winter being in Punakha Dzong. In 1216 Lama Gyalwa Lhanangpa built Dho Ngen Dzong. A few years later Phajo Drukgom Zhigpo, the one who brought Drukpa Kagyu lineage to Bhutan took over the dzong. 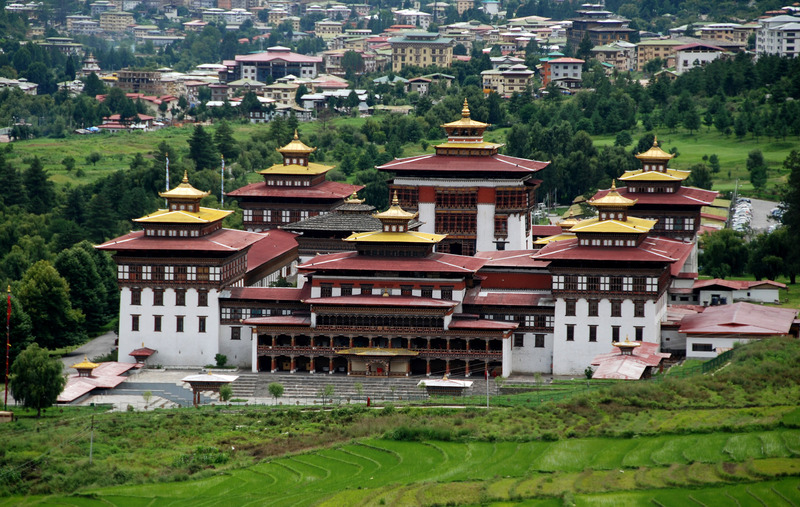 In 1641 Zhabdrung acquired the dzong and renamed it Tashichhodzong, the fortress of the glorious religion. The dzong has a beautiful rose garden.